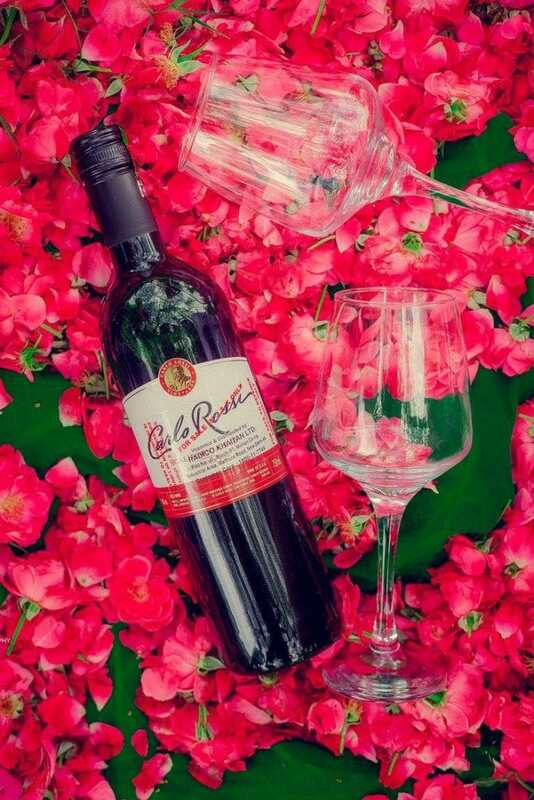 Roses and wine, what can be more classy? 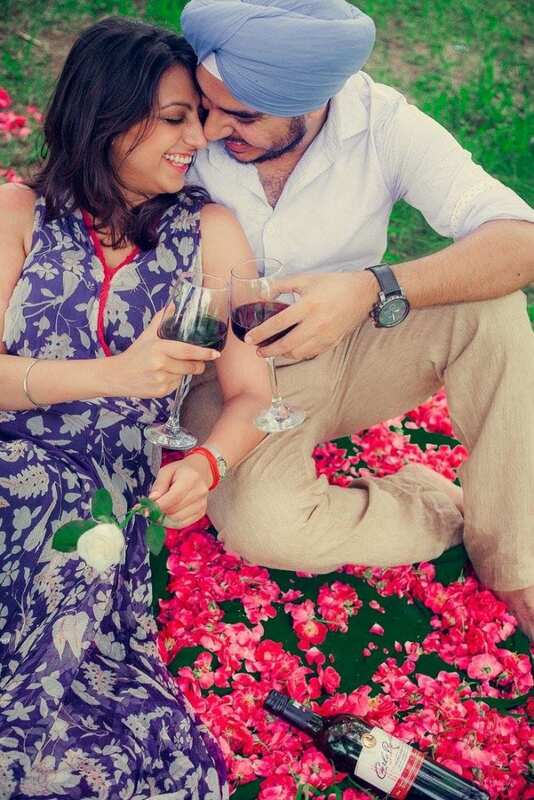 If you don’t have a perfect location, wine and roses will always make your shoot. Forget that you been photographed and enjoy your day! Eh, and don’t forget to sip some wine! 2. YES, again Taj Mahal..But who can resist this beauty? Another lovely morning, where Nature helped us itself. 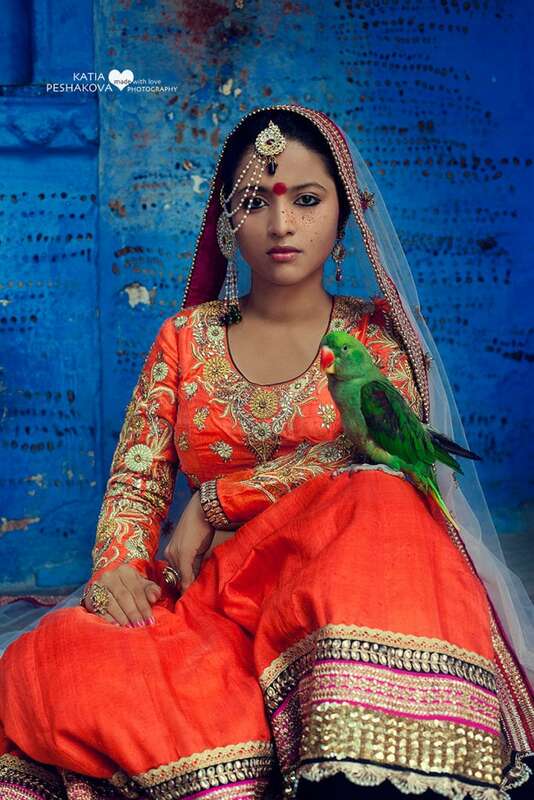 I wanted to record young Shah Jahan and his love to Mumtaz. I put the couple under an arch to dance, then sun rays came inside as God’s blessing and made the image what it meant to be: a celebration of infinite love. Is not it perfect moment? Make sure you will not miss one of very beautiful time of the day when the light is so soft and romantic. Plan your photoshoot on sunset or sunrise. Shoot it in an open area or use architecture elements such arch or dome. 4. Spend a day in the oldest city on Earth! 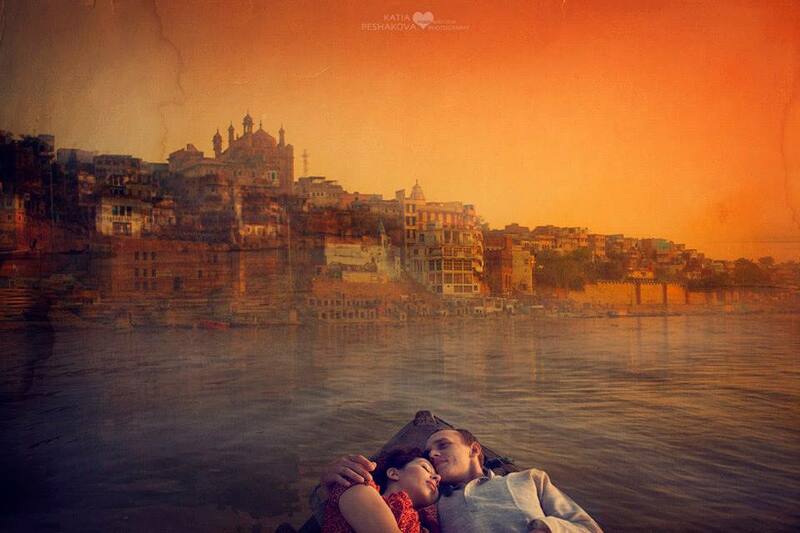 Varanasi – still is an unbeaten destination for pre-wedding, but it has so much charm, you will be surprised. Plan your trip well to avoid the rush and get a photographer who knows the city well. 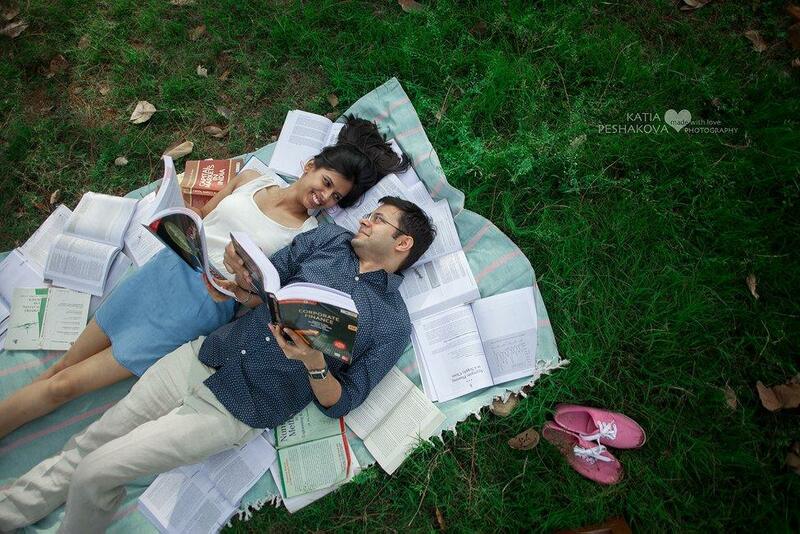 Did you study together? Do you have really funny or romantic story “how we met”? Sharing one hobby or just huge lovers of coffee? 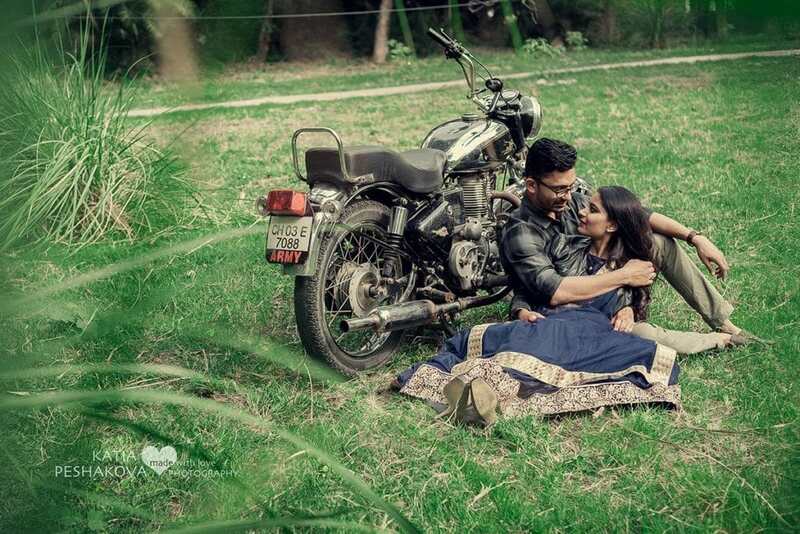 Use anything that makes both of you glue to each over, as a topic for your pre-wedding shoot. Going to trip? 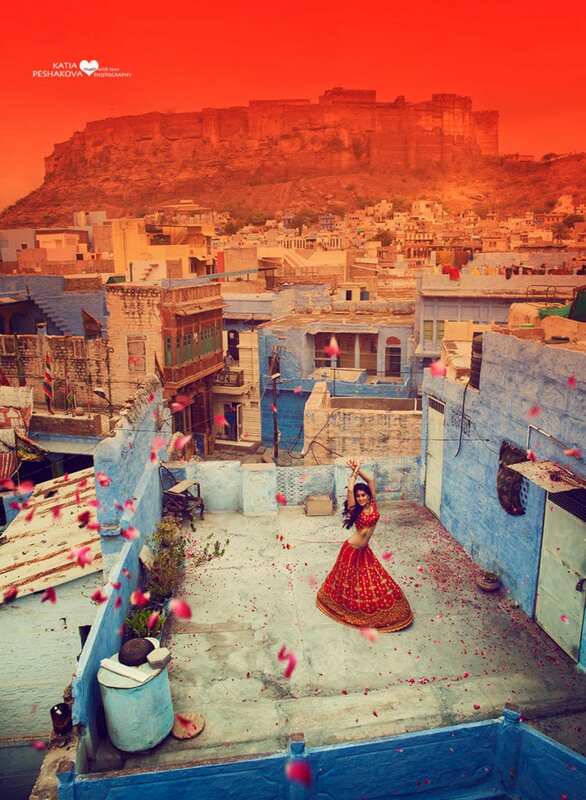 Grab your photographer to convert this in a beautiful documentary journey. Water will do magic, believe me. If there is an ocean, a river or even a swimming pool, go for that and you won’t regret! 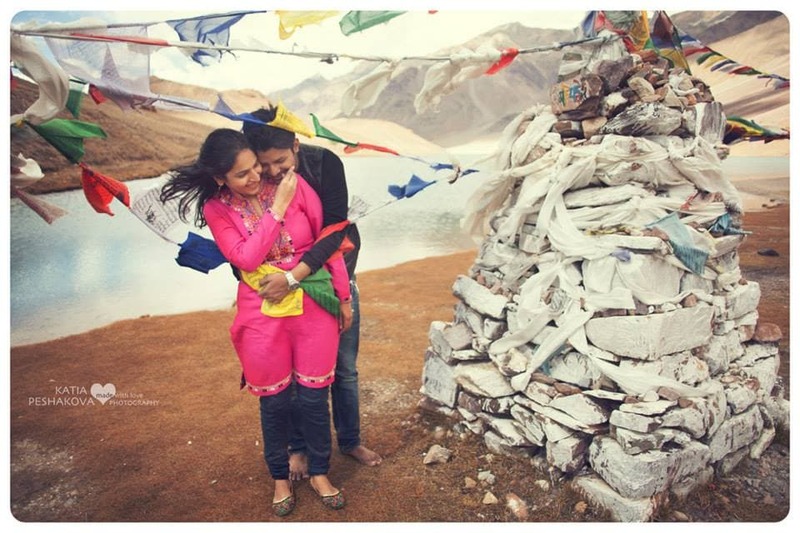 Fun or romantic but always full of emotion-rich images is that what you will get. 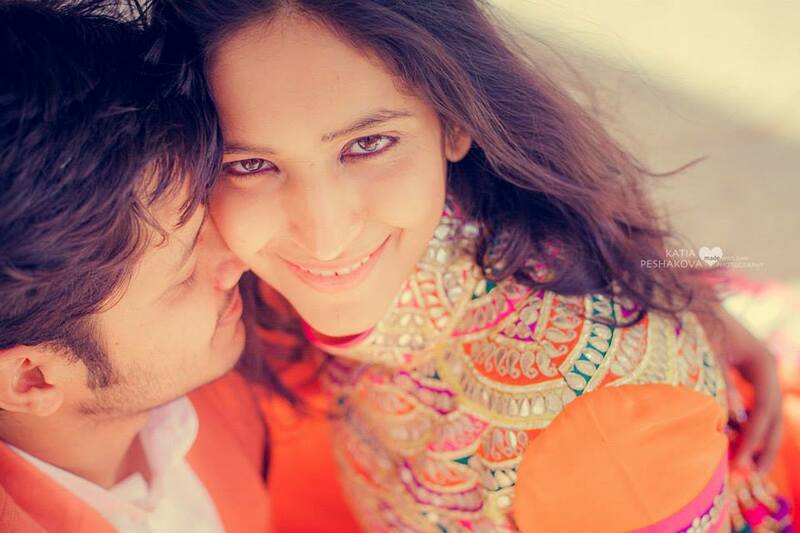 Use your pre-wedding outfit to shoot on location and get magazine-look pictures. Where have you met for the first time? Are there any significant places in the city? Just have a walk there again and re-live your memories. 10. Shoot with snow this winter! People comes all over the World to celebrate the festive, calls India! We are so lucky, all we need is to step out from home! 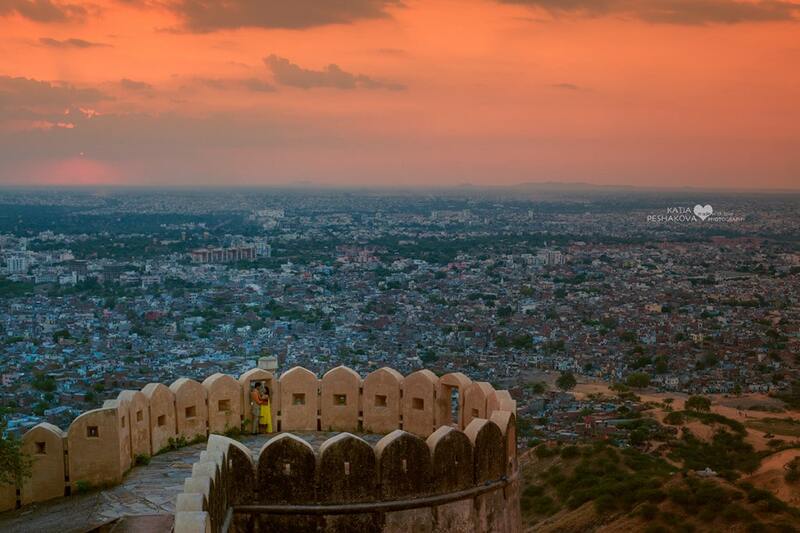 Personally, I can't find more Indian city than Jaipur! 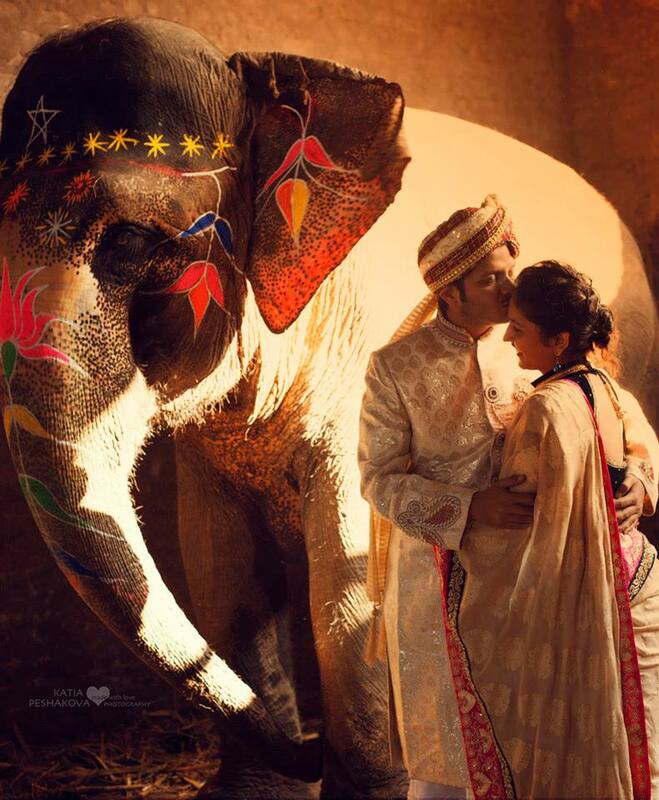 Those colors, forts, and elephants will make not only your pre-wedding shoot but whole trip to remember. 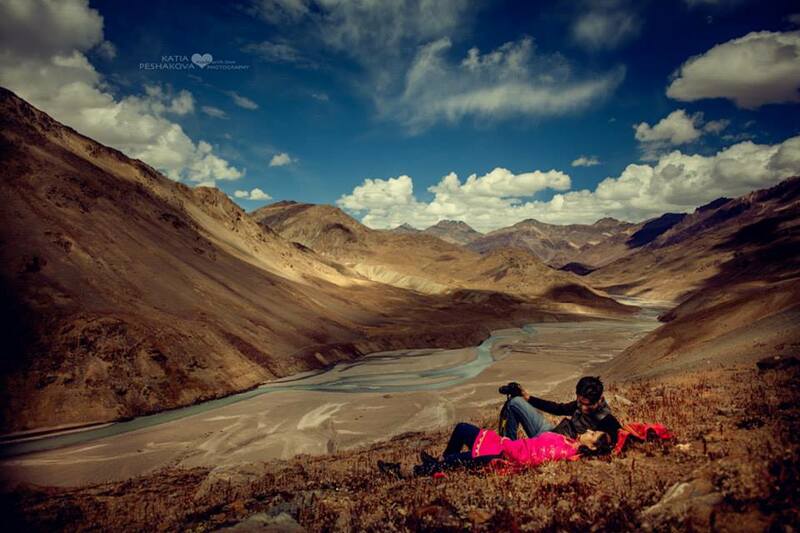 Finally, destinations and ideas do not matter as much as your true feelings. 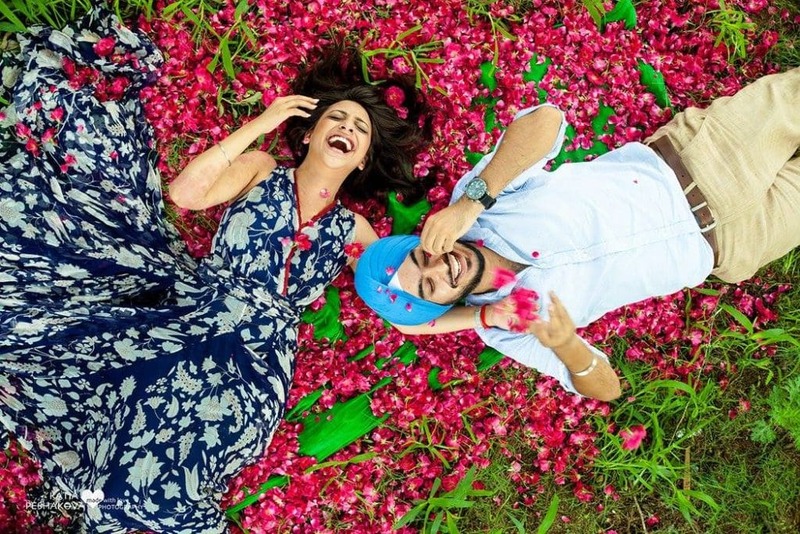 Come closer to each over, laugh, touch.. feel your partner and say him/her – how much you love. 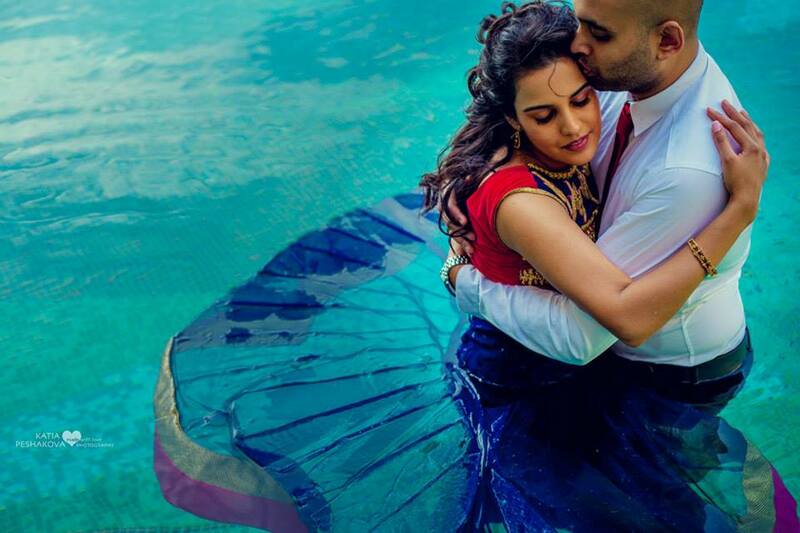 Hope you will be able to create the magic between you and your better half with these unique and creative pre-wedding photo shoot ideas.